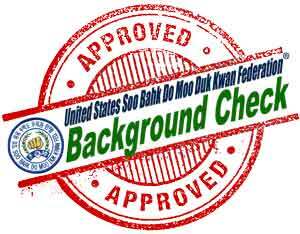 The Background Checks and Continuing Education Subscription is required to access the Background Checks, mandatory Child Safety training and other Continuing Education training published by the Kwan Jang Nim, USA Technical Advisory Committee and United States Soo Bahk Do Moo Duk Kwan Federation® Board of Directors. 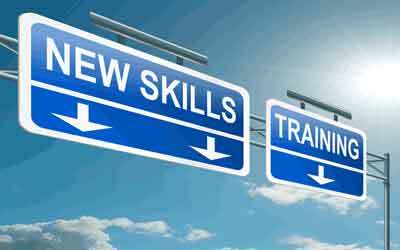 This subscription satisfies the annual fee required for an annual background check and ongoing Continuing Education training in areas of special importance to Certified Instructors and School Owners. During checkout use your member discount code to lower the cost of this subscription to $45 annually. Upon activation of this subscription you can immediately apply for your background check. Shortly after you submit your application for your background check you will receive an email that contains a link to the child safety training course. After your background check application has been processed, (typically less than 72 hours) if the law requires it in your state, you will be emailed a copy of your background check. If the law does NOT require it in your state, you can wait a few days after applying and then request a copy of your completed background check using this form. Subscribers to this subscription automatically become participants in the Continuing Education Program and may request a 50% Discount code for technical subscriptions. Note: This subscription should be acquired in addition to any existing technical content subscriptions you may already have on the Soo Bahk Do® Institute because this subscription does NOT grant access to rank related technical content on the Institute. Certified School Owners participating in the Continuing Education Program also receive the benefit of being able to refer an unlimited number of background check applicants through the background check system who are not certified instructors, who do not possess an instructor certification study kit and who are not enrolled in an instructor apprenticeship program. Effective 01/01/2019 failure to maintain this subscription active and in good-standing will nullify privileges associated with Instructor Certification and School Certification.